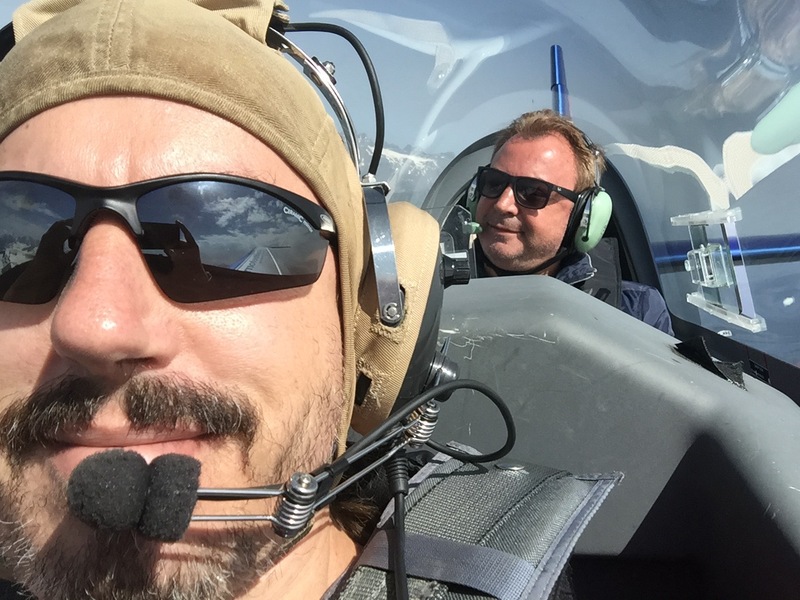 Read this pilot’s story of how he created an air navigation app from his garage to enjoy for himself then built a 40 people company spread over 3 continents. looking up at the sky, enchanted by the heavy metals flying above him. While serving in the Swiss air force during his teens, Johann Huguenin became a fan of flying. During his shifts, he refilled gas tanks of military planes while looking up at the sky, enchanted by the heavy metals flying above him. Being a wide-eyed spectator of the metal birds doing low passes over the base he works in, he soon found his way to a free seminar that talked about how to become a pilot. Anyone who has felt the sound and vibrations of a military jet's take-off from the ground would not be able to help the pull that flying induces. This was how he felt, watching all those jets fly ingrained a sense of wonder in him that he could not shake off. He was curious how it would feel like flying a huge metal up in the sky. The emotion one might feel from the ground is a far cry from the actual flying. The real magic happens inside the cockpit, in mid-air. Johann found this to be true. 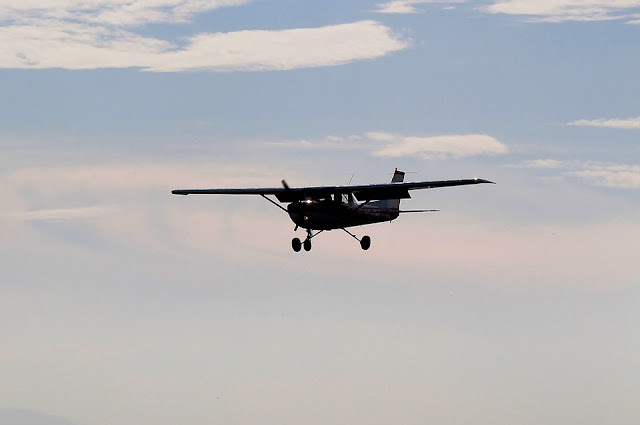 Once he experienced his first flight sitting inside the cockpit and flying his first plane, a Cessna 150, he couldn’t get enough. “While most people train flying for more than a year before getting a license, I managed to get mine in 6 months.” This is how hungry he is with flying. After learning the basics, he would then pursue aerobatic flying and entered his first national competition after graduation. A bit worried that he might not be good enough, he came out to win a gold medal in the Sportsman category. He continued attending national competitions every year up to the Unlimited category, gathering more bronze and silver medals along the way. Among his trainers are Catherine Maunoury and Patrick Paris, French aerobatic world champions and aerobatic flying experts. As a teenager, Johann was very invested in tinkering with software. Developing his talents further, he became a software developer working on games and mobile apps and flying on the weekends. His favorite spots would be flying over the mountains of Switzerland. On a few occasions, as the aerobatic airplane is not equipped with fancy navigation equipment, he would get lost, unsure of his location. There would be times that he would fly with poor visibility seeing only a few kilometers ahead. Determined to make his flying experience smoother and more enjoyable, he thought about developing a handy navigation app that he can use during his trips. Working from his home garage, and taking it out for testing during the weekends, the first version of Air Navigation Pro was born only after 2-3 months of development and testing. Upon release of the iPhone 3G, readily making GPS available to the public, he decided to list his app on the AppStore and launched it in December 2008. Like any aspiring entrepreneur, Johann got excited with the progress and anticipated positive results. The first month only returned a handful of downloads which was short of his expectations. Nonetheless, that did not stop him from improving the app. Those few downloads returned very encouraging feedback from first-time users that he also used in improving the app. He found that the more he improved the app, the more downloads there were. While going down from a hammerhead (an aerobatic manoeuvre where the aircraft nose is pointing directly toward the ground), 2 military jets suddenly came below him wing rocking towards the control tower. It was an exhilarating moment that left him breathless, a learning experience nonetheless. This served as an inspiration for the intruder feature in the Air Navigation Pro app which integrates the TCAS (traffic collision avoidance system) alerting pilots when there’s a risk of collision. The feature also allows a user to tap an aircraft and tag it as a favorite which comes super handy when flying with a friend. Another experience was when he took off during calm winds for a short aerobatic training session over the field only to find in the middle of his flight that strong cross winds were blowing caused by a rapid change of weather. Due to the limited quantity of fuel in mid-air, he was not able to wait for favorable conditions and chose to land. Crossing some fingers, he managed a safe landing. That risky experience inspired the TAF and METAR features that help the pilot identify the weather and forecast nearby aerodromes. By the second year after Air Navigation Pro launched on the iOS platform, the team had already grown to seven people. Johann quit his job and developed it further into a full business running it as CEO along with one of his good pilot friends. They soon expanded operations to South America and Asia continually improving air navigation initiatives. The mother company, Xample, which develops the app also provides customized navigation solutions to professionals and aviation companies like aircraft manufacturers, helicopter operators, drones and much more. When asked what his future goals are for the company, he says “I hope to make navigation apps that are rock stable, easy to use, powerful and user-friendly. I want to provide pilots a handy flight navigation tool that helps lessen the time in flight planning and increase the safety which will make the flying experience more enjoyable.” On top of that, he’d like for professionals, hobbyists and small businesses get the benefits of professional pro functionalities readily available in the Air Navigation Pro app. Today, Air Navigation Pro is being used by pilots all over the world with over 160,000 downloads since its release. Johann and his team continually seeks feedback from their users to improve air navigation for pilots. If he’s not working on app improvement, he flies at night or travel around the tropics. He just passed the theoretical exam for his ATPL (commercial flying license) last year just because he wants to learn more about the professional aviation field. If he’s not traveling for adventures, he seeks to break more barriers in the air navigation field.